Why Has it Been so Windy? 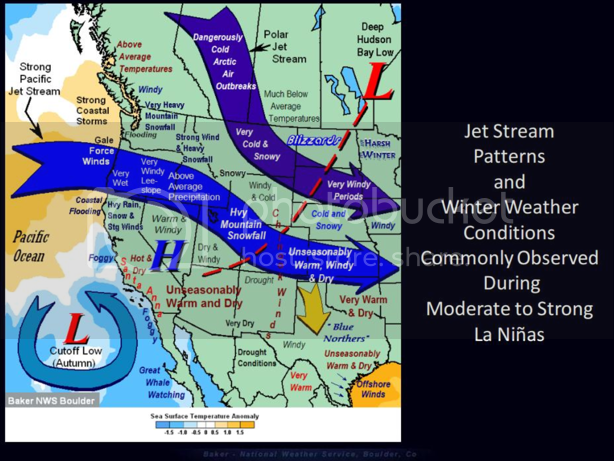 La Niña patterns are great wind producers, especially for Colorado and the plains states. The recent wind resulted in tree damage and wildfires from the Pacific Northwest to Oklahoma. Peak wind gusts were recorded at 100 mph near Frisco, Colorado Saturday morning and 102mph at Gold Hill in Boulder County Monday night. We have had wind gusts well over 100 mph earlier this winter, and even last winter. The strongest ever recorded in the state was 201 mph on Longs Peak in 1981. The common link to these powerful gusts is our current winter weather pattern, which is a result of La Niña. Having a stronger jet stream during La Niña that tracks over the Rocky Mountains translates into windy weather for Colorado. Whenever the jet stream is flowing over the mountains it hits the Continental Divide and then flows downhill toward Denver and the plains. That descent, by physical process, heats the air. Hence the area's recent warm, windy weather. Overall our pattern doesn't change for quite some time. There will be a weak cold front to end the week at the surface, but the pattern aloft remains relatively unchanged. 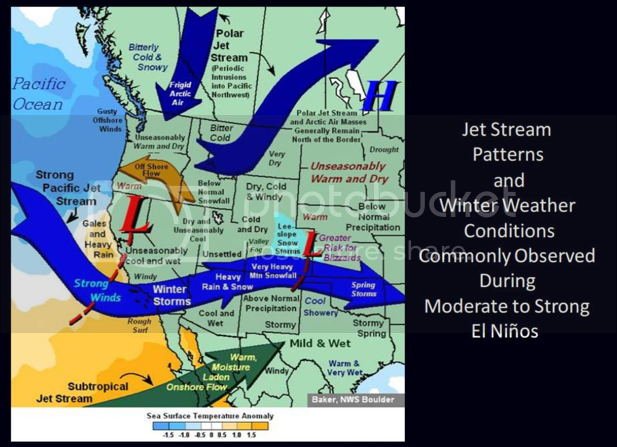 There are indications that El Niño will develop by spring, which will bring less wind, and also a more favorable storm track. What Does the Return of El Niño Mean for Colorado?